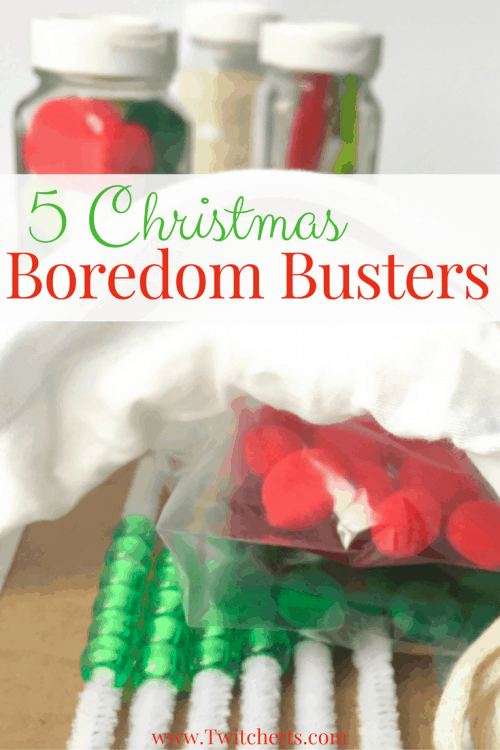 We have come up with 5 Christmas Boredom Busters for you! 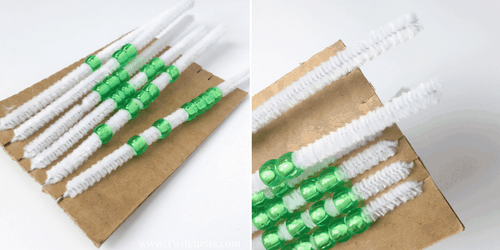 These are quick and easy kids activities that you can pull out anywhere! 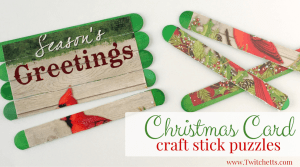 They are fun for kids and are a great way to pass the time this holiday season. Whether you are expecting to be at an airport or have a few holiday dinners to attend, you can never go wrong with bringing a few boredom busters along. 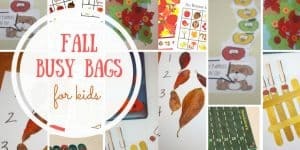 All of these fall busy bags were so much fun for my little one that I needed to come up with something for the next season. I made each of these Christmas themed boredom busters with just a touch of holiday fun to make them unique for the season. Not only are these fun, they are also full of play-based learning opportunities! 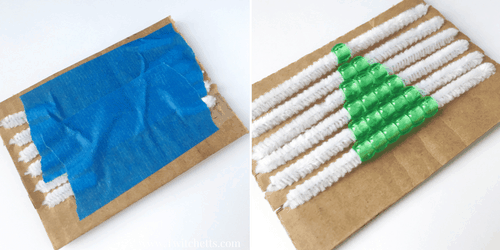 For this quick kids activity, you just need 2 supplies. 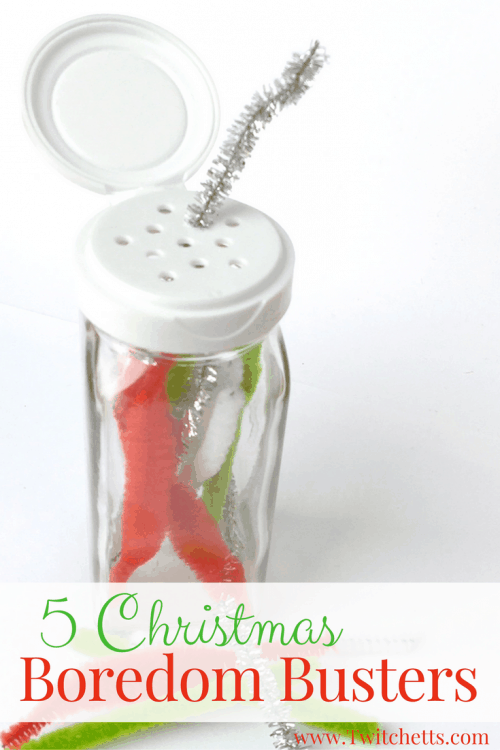 An empty spice jar and Christmas colored pipe cleaners! 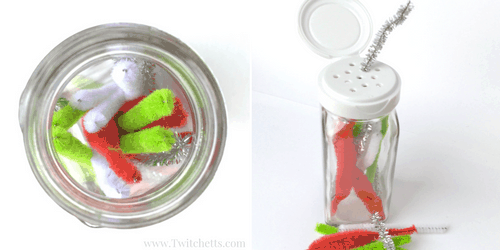 Trim down your pipe cleaners to fit inside your spice jar. Let them dump them out and stick them back in through the holes. They can work on twisting the lid on and off and focusing on getting the pipe cleaners through the holes is excellent fine motor practice! 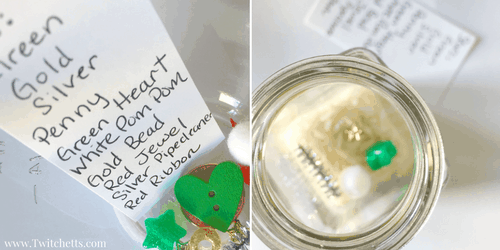 Look around for pieces to use in a mini I-spy jar. Buttons, beads, trim some ribbon… anything will do. 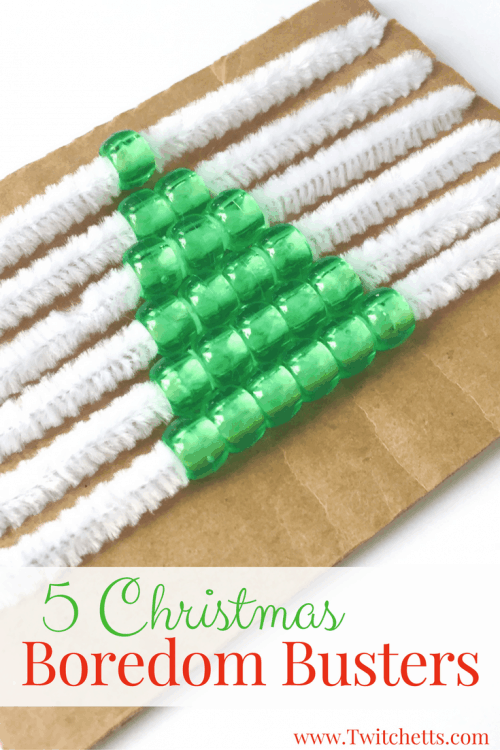 I stuck to Christmas colors, but you can make these in any theme. 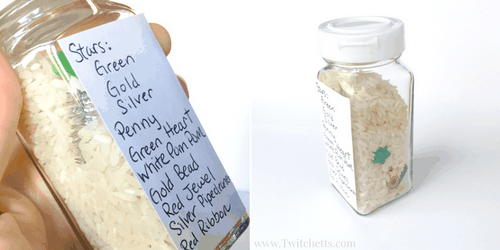 Make sure they are small enough to fit inside a spice jar. 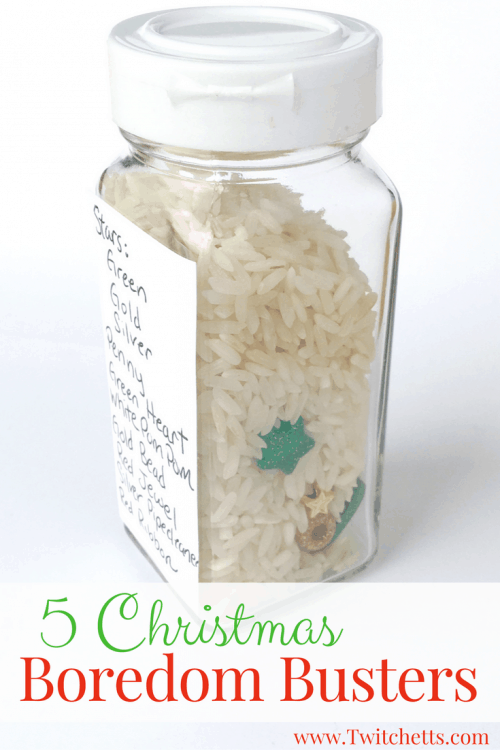 Fill your jar with a little bit of rice and then some of your pieces. Add more rice, more pieces, and then more rice. Leave enough space to move the rice around. Since they are young you don’t want to make it too hard. You can attach a key on the side so you don’t forget what all is inside. 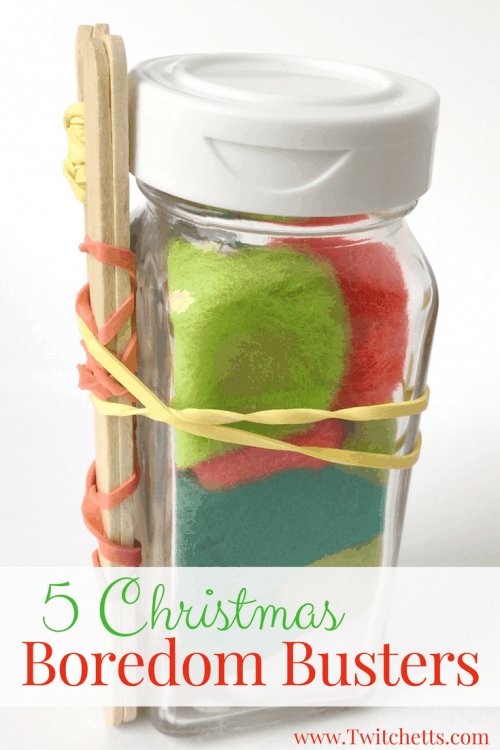 For this fine motor Christmas boredom buster, you need a spice jar, pom-poms (different colors and sizes) and tweezers. 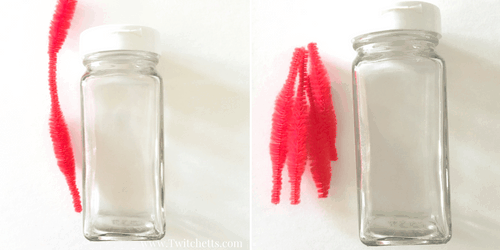 You want enough pom-poms to pack them in your spice jar tight. 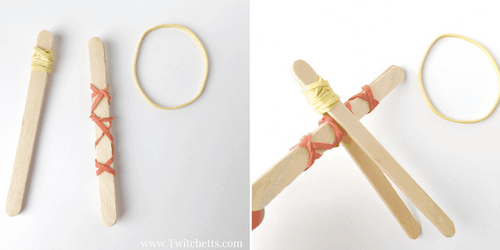 If you would prefer not to use your tweezers you can easily create your own using 4 popcycle sticks and 3 rubber bands. If you want a bit more instruction on these, check out our tongs video. These are the same concept only smaller. 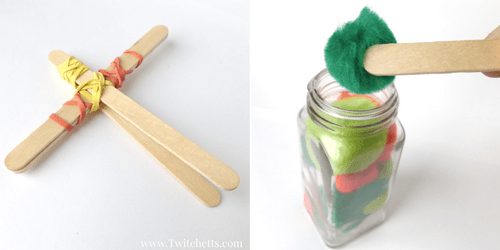 Using their tweezers have them take all of the pom-poms out of the jar. Once it is empty have them stuff them all back in! This part is equally fun for them. 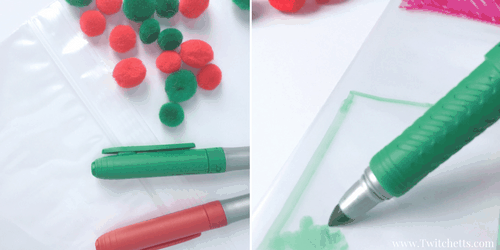 Grab the smallest pom-poms you have, a ziplock baggie, and coordinating permanent markers. 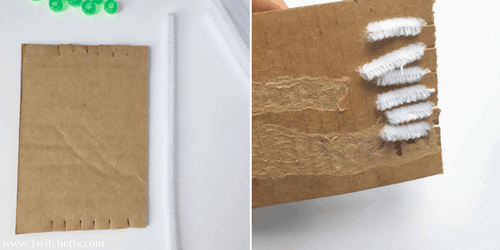 Create two squares on the outside of the bag. 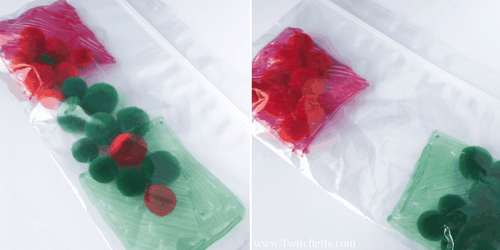 Add in your pom-poms and seal the bag with as little air as possible. This way the can smash and move them around to try to get all of the pom-poms in their correct box. The older they are the smaller you can make the squares… or add a third color! 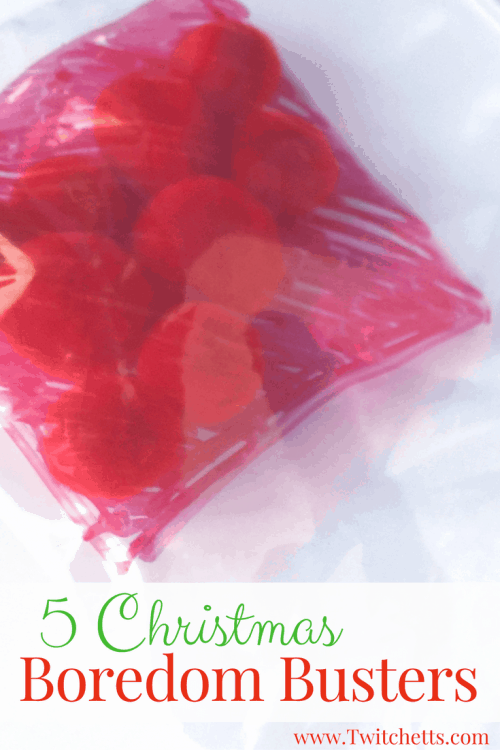 All of these Christmas boredom busters can be made in minutes and are easy to bring along with you anywhere you go. They are quiet to play with and shouldn’t make too much of a mess! 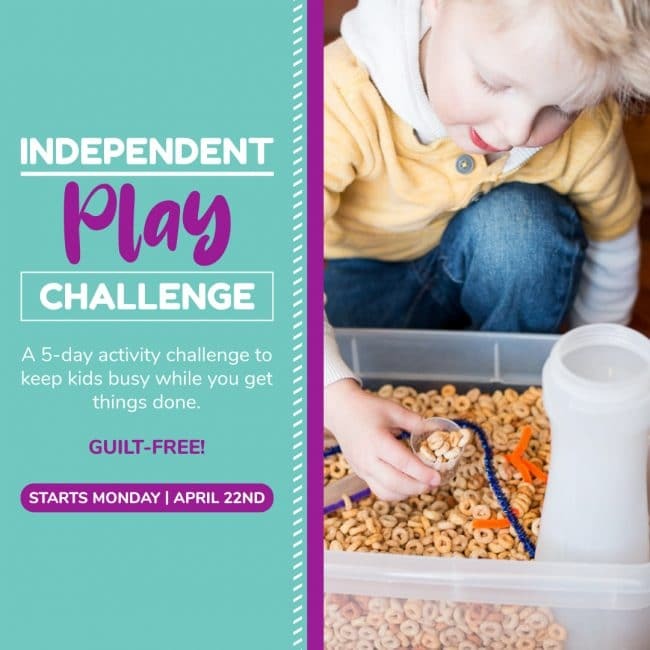 Check out these other great ideas to keep those kiddos busy!! I can think of a dozen times this season I’ll need to pull out some Christmas boredom busters. From long shopping trips to car rides to grandma’s house!